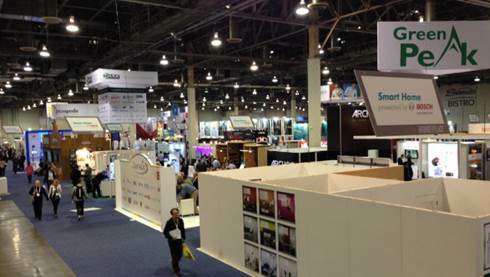 Greetings from the just concluded 2015 International CES show. This is the annual pilgrimage to Las Vegas by techies and geeks, manufacturers and buyers, press and industry analysts, and CEOs and celebrities. It represents a once a year quest to find the newest and best in technology. And this year, all bets were off as the technology industry found itself squarely back in the Wild West. In the past it took a lot of investment to exhibit at an expo like this. Firms would strive to capture the attention of the attendees, going as over the top as possible - massive press-conferences with celebrity guests, huge "booths" on the show floor, etc. At this year's conference however we saw a new model of exhibitor. They aren't well funded, they don't have brand recognition, and they're winning. According to CEA's Chief Economist, Shawn DuBravac, a huge majority of technology (75% of smart devices for example) is being purchased in emerging markets (33% in China alone) and the majority of sales are from off-brand suppliers. Smaller, start-up and/or unknown firms are taking mindshare and market share in global technology. It's truly shaping up to be a David and Goliath type story. Do you really need an iWatch or iPhone when you can get an off-brand version of either one for hundreds less? It takes almost nothing to start a crowdfunding campaign, and social media is a flat world, so start-ups can create and sell products directly to users without the kind of marketing and distribution alliances that might have been needed before. This dynamic is causing a lot of change. Cleary it makes access to customers a more democratic process, and it will force the larger manufacturers to re-focus their over the top efforts into something more effective, but in the short term it means there are no rules. Any product can come to the market. t's not the Internet of Things, it's the Internet of LOTS of Things. For example, does the marketplace really need the dozen different products I saw that let us use gesture control for everyday devices? Will we walk around our houses waving our hands like we're conducting an invisible and silent symphony just to lower the volume on our TV (as opposed to just picking-up a remote or - heaven forbid - pressing the volume down button on the display?) A lot of these connected "things" coming to the market may seem cool but are of questionable necessity. We're in for a huge shake-out, because what we are experiencing now is an easy ramp to market but one with no check and balance to determine if the product being offered is something people will need. One example of this is clearly the enormously popular "Wearabe / Smart Watch" category. I've made the joke before that all wearables are just a government conspiracy to get millennials to wear watches again. There was no shortage of wearables at this show. One reporter actually tried-on 56 wearables and took pictures. For all you need to know about the wearable space right now just take a look at this article about how Apple is seeking out "fashion conscious" individuals to help portray how "stylish" and "exclusive" the Apple Watch is. Only the in-crowd will be able to see the emperor's new wearable. (I overheard one CES attendee saying they should have called the Apple Watch iCandy.) It would be wise to relate this entire market sector back to the first Palm Pilots. They were a fad that took the form of a future needed technology, but they had neither the power nor features that the space would require, and the entire sector died. But when feature-rich tablets and smart phones became available, those became a technology that changed our lives. My advice here is to wait till relevant products that are still in manufacturers' labs get released before we all go gaga over wearables. All that being said, for the most part there were no tremendous wows in the area of displays this year. 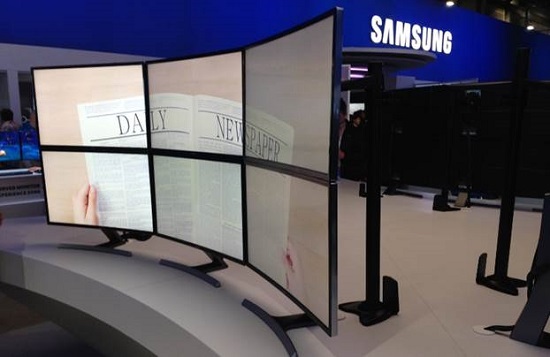 The manufacturers are hoping that 4k / UHD-TV makes a big enough splash in the market place to justify the very premium prices they want to charge for it, while at the same time trying to figure out how to reverse the slide in their marketshare as worldwide, off-brand sales grow. On the former point, a UHD-TV alliance was formed by many of the players in the 4K ecosystem including Samsung, Sony, Panasonic, Sharp, Disney, Fox, Warner Bros., Netflix, DirecTV, Dolby and Technicolor. Here's hoping that this alliance does a better job than the one they formed for 3D-TV. The only keynote session I attended was the CES Fast Innovation: Disrupt or be Disrupted panel. I felt this was more important than many of the others because "disruption" is a buzzword thrown around by so many without a true understanding of what it means. Creating a product that becomes best in its space is not disruptive no matter how many bloggers want to call it that to please their VIP interviewees. Disruption happens when a product or concept irrevocably changes the space that existed before its arrival. 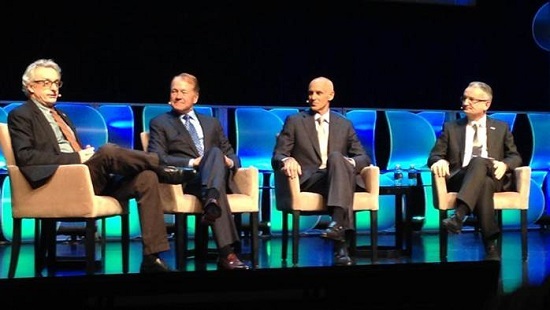 The panelists were John Chambers, Cisco chairman and CEO, Neil Smit, president and CEO of Comcast Cable and Dr. Werner Struth, member, board of management, Robert Bosch GmbH. Only 40% of current Fortune 500 companies will exist in a meaningful way in10 years - mostly due to lack of innovation. Every home, city, sporting event and device will be digital and connected in the near future. We tend to think about change in terms of technology, but that's the easy part. The hard part is changing people and culture. Firms that don't innovate in that area will be left behind. The pace of change is accelerating rapidly. Long term planning at Cisco used to involve a five year look ahead. It now involves three years. Dr. Struth made the most important point in my opinion, when he said that organizations must be willing to break their own paradigms to innovate. That means we have to be willing to stop doing something that may seem successful now to remain successful into the future. Very few industries and organizations truly get that idea, and often blame the messenger when they are told they will need to change. 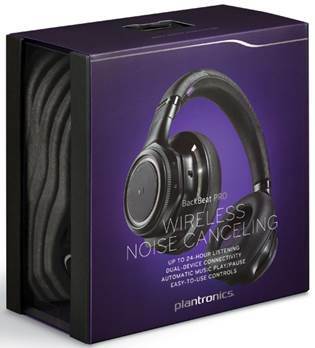 Apparently, after Plantronics released its wildly successful Back Beat Pro headphones other firms realized that people do want very high quality, noise cancelling Bluetooth headphones for listening to music - and the occasional call. There were plenty of copycats at the show this year. While smart homes are nothing new (a good friend of mine still swears by his BSR X-10 system) two things are new in this space. Firstly, it's now enormous. 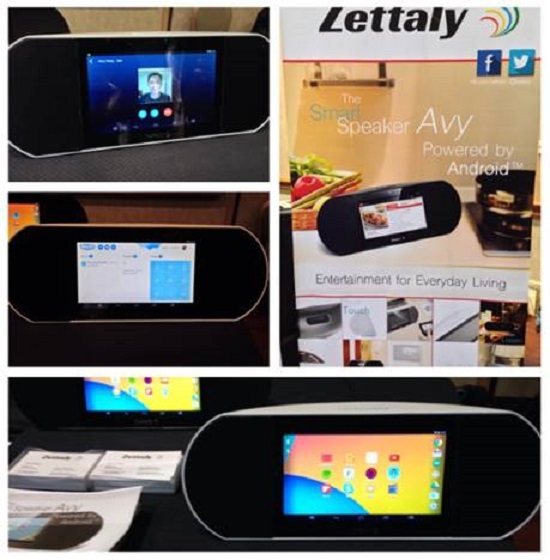 There were rows and rows of exhibitors proving products for the connected home. The second change is - as opposed to the past when you would likely have to buy an entire home suite from a single manufacturer - connected devices are now available a la carte. For example, iDevices "Switch" will let you control power to one device from your smartphone - for a $50 one-time cost to purchase. This becomes very empowering and cost effective for the consumer - being able to get just what one wants without the expensive and complex programming of the past. There were a number of cameras / imaging devices at the conference this year that claimed to be the "world's first" 360 or 720 degree camera. Ludicrous claims aside, these represent a new class of stationary cameras that utilize more than one optical sensor with very wide-angle fixed-focal-length lenses (which have traditionally produced a fish-eye distortion.) The images are stitched together in the camera where the distortion is removed. 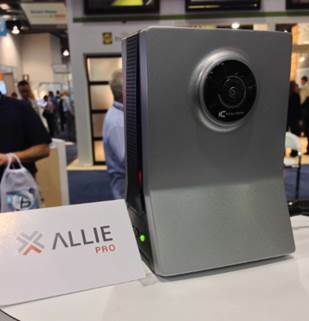 The best of these I saw was the Allie (pronounced all-"E" - like a selfie of everything...) from IC RealTech. This device with a camera on both sides captures everything all around it - 360 degrees times two. While that makes an awesome home monitoring camera, a little creativity in applications can have this device hosting a virtual tour of anything. Want to sell a house? Just drop one of these puppies into every room. Want to join a board meeting as if you were there? Put one of these in the center of the table and look at whatever you want to - from a colleagues face to the slides being shown - and move around independently of anyone else connected to the same camera. Here is an Instagram video that briefly shows this technology on a tablet. We've all seen this type of virtual view before - on google maps or a product website - but that is still images and this produces live video. This class of device (at about $3K US) has the potential of being a game changer. Not a new one, but you'll continue to hear the term OTT (over the top) - meaning TV content delivered over the internet and/or without the use of a cable operator - much more frequently in the next few years. Netflix and Amazon are already beginning to stream content in 4K, and Dish Network announced they will offer "Sling TV" - their name for a streaming service to reach millennials and others amongst the "unplugged" class - for only $20/ month. This of course puts even more pressure on the traditional broadcaster to remain relevant. First we had electronic appliances to use for productivity and entertainment (TVs, radios, word-processors, etc.) Then we turned to applications to meet the needs - A general use PC / tablet / smart device running an application to watch programming, listen to music, create documents, etc. Now we are seeing these general use devices being assembled in custom lay-outs to run those specific applications in an optimized manner - applic-pliances. One great example of this is the Zettaly Avy. This is an approximately $100 combination android tablet and stereo speaker system meant to be a communications and media hub - with speakers shielded and optimized for the cabinet. It's really just an Android tablet with speakers, but in this form factory you could even use it as an inexpensive videoconferencing appliance. 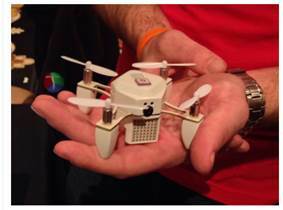 Drones were a very hot topic at CES this year. Both because of their popularity and because their legality is still being decided. There were camera drones, lifting drones, arena-battling drones, and this one from Zano. It's a palm-sized drone that acts as part of a mesh network to create an instant WiFi Hot Spot wherever one is needed. Drones have experienced a lot of controversy and are by no means a slam-dunk to continue expanding, but it is definitely an (air) space to watch. As for my favorite product or technology, this year I have to give my CES Pick-Hit award to the much beleaguered Sony. Not just out of sympathy because they had to endure one of the worst-cases of hacking ever documented, but because when I least expected it, they actually wowed-me. 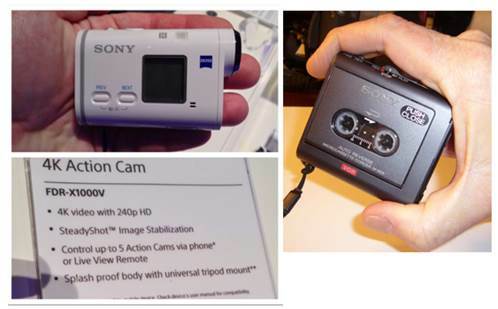 When I held their brand new 4K Action Cam in my hand it reminded me of my old Sony Micro-Cassette recorder. In about the same form factor as an audio recorder (considered very advanced in its day about 15 years ago) Sony has packaged a 4K, image stabilized video camera. If you take the time to stop and think about how far we've come hopefully you'll be as amazed and optimistic about the future as I am. That's it for my coverage of the 2015 International CES. 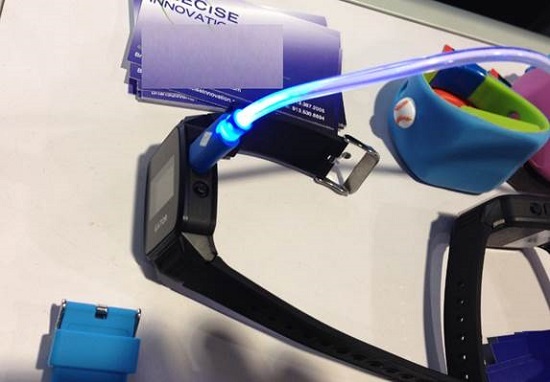 (If you're interested in seeing my daily notes blog from CES 2015 it is still available here.) Look for my next report in what will be a busy March for me, as I'll be one of the keynote speakers for InfoComm Connections in San Jose, and I'll be a panelist at Enterprise Connect. This article was written by David Danto and contains solely his own, personal opinions. David has over three decades of experience providing problem solving leadership and innovation in media and unified communications technologies for various firms in the corporate, broadcasting and academic worlds including AT&T, Bloomberg LP, FNN, Morgan Stanley, NYU, Lehman Brothers and JP Morgan Chase. He now works with Dimension Data as their Principal Consultant for the collaboration, multimedia, video and AV disciplines. He is also the IMCCA's Director of Emerging Technology. David can be reached at [email protected] or [email protected] and his full bio and other blogs and articles can be seen at Danto.info. Please reach-out to David if you would like to discuss how he can help your organization solve problems, develop a future-proof collaboration strategy for internal use, or if you would like his help developing solid, user-focused go-to-market strategies for your collaboration product or service. In the past it took a lot of investment to exhibit at an expo like this. Firms would strive to capture the attention of the attendees, going as over the top as possible - massive press-conferences with celebrity guests, huge \"booths\" on the show floor, etc. At this year's conference however we saw a new model of exhibitor. They aren't well funded, they don't have brand recognition, and they're winning. According to CEA's Chief Economist, Shawn DuBravac, a huge majority of technology (75% of smart devices for example) is being purchased in emerging markets (33% in China alone) and the majority of sales are from off-brand suppliers. Smaller, start-up and/or unknown firms are taking mindshare and market share in global technology. It's truly shaping up to be a David and Goliath type story. Do you really need an iWatch or iPhone when you can get an off-brand version of either one for hundreds less? It takes almost nothing to start a crowdfunding campaign, and social media is a flat world, so start-ups can create and sell products directly to users without the kind of marketing and distribution alliances that might have been needed before. This dynamic is causing a lot of change. Cleary it makes access to customers a more democratic process, and it will force the larger manufacturers to re-focus their over the top efforts into something more effective, but in the short term it means there are no rules. Any product can come to the market. For example, does the marketplace really need the dozen different products I saw that let us use gesture control for everyday devices? Will we walk around our houses waving our hands like we're conducting an invisible and silent symphony just to lower the volume on our TV (as opposed to just picking-up a remote or - heaven forbid - pressing the volume down button on the display?) A lot of these connected \"things\" coming to the market may seem cool but are of questionable necessity. We're in for a huge shake-out, because what we are experiencing now is an easy ramp to market but one with no check and balance to determine if the product being offered is something people will need. One example of this is clearly the enormously popular \"Wearabe / Smart Watch\" category. I've made the joke before that all wearables are just a government conspiracy to get millennials to wear watches again. There was no shortage of wearables at this show. One reporter actually tried-on 56 wearables and took pictures. For all you need to know about the wearable space right now just take a look at this article about how Apple is seeking out \"fashion conscious\" individuals to help portray how \"stylish\" and \"exclusive\" the Apple Watch is. Only the in-crowd will be able to see the emperor's new wearable. (I overheard one CES attendee saying they should have called the Apple Watch iCandy.) It would be wise to relate this entire market sector back to the first Palm Pilots. They were a fad that took the form of a future needed technology, but they had neither the power nor features that the space would require, and the entire sector died. But when feature-rich tablets and smart phones became available, those became a technology that changed our lives. My advice here is to wait till relevant products that are still in manufacturers' labs get released before we all go gaga over wearables. The only keynote session I attended was the CES Fast Innovation: Disrupt or be Disrupted panel. I felt this was more important than many of the others because \"disruption\" is a buzzword thrown around by so many without a true understanding of what it means. Creating a product that becomes best in its space is not disruptive no matter how many bloggers want to call it that to please their VIP interviewees. Disruption happens when a product or concept irrevocably changes the space that existed before its arrival. There were rows and rows of exhibitors proving products for the connected home. The second change is - as opposed to the past when you would likely have to buy an entire home suite from a single manufacturer - connected devices are now available a la carte. For example, iDevices \"Switch\" will let you control power to one device from your smartphone - for a \$50 one-time cost to purchase. This becomes very empowering and cost effective for the consumer - being able to get just what one wants without the expensive and complex programming of the past. There were a number of cameras / imaging devices at the conference this year that claimed to be the \"world's first\" 360 or 720 degree camera. Ludicrous claims aside, these represent a new class of stationary cameras that utilize more than one optical sensor with very wide-angle fixed-focal-length lenses (which have traditionally produced a fish-eye distortion.) The images are stitched together in the camera where the distortion is removed. The best of these I saw was the Allie (pronounced all-\"E\" - like a selfie of everything...) from IC RealTech. This device with a camera on both sides captures everything all around it - 360 degrees times two. While that makes an awesome home monitoring camera, a little creativity in applications can have this device hosting a virtual tour of anything. Want to sell a house? Just drop one of these puppies into every room. Want to join a board meeting as if you were there? Put one of these in the center of the table and look at whatever you want to - from a colleagues face to the slides being shown - and move around independently of anyone else connected to the same camera. Here is an Instagram video that briefly shows this technology on a tablet. We've all seen this type of virtual view before - on google maps or a product website - but that is still images and this produces live video. This class of device (at about \$3K US) has the potential of being a game changer. Not a new one, but you'll continue to hear the term OTT (over the top) - meaning TV content delivered over the internet and/or without the use of a cable operator - much more frequently in the next few years. Netflix and Amazon are already beginning to stream content in 4K, and Dish Network announced they will offer \"Sling TV\" - their name for a streaming service to reach millennials and others amongst the \"unplugged\" class - for only \$20/ month. This of course puts even more pressure on the traditional broadcaster to remain relevant. One great example of this is the Zettaly Avy. This is an approximately \$100 combination android tablet and stereo speaker system meant to be a communications and media hub - with speakers shielded and optimized for the cabinet. It's really just an Android tablet with speakers, but in this form factory you could even use it as an inexpensive videoconferencing appliance.